Nowadays, more and more candidates who apply for Household Staff jobs are invited for an initial video interview prior to a face to face meeting with their potential employer. It makes sense because interviews via Skype, Whatsapp, Facetime, etc save a lot of time for both an employer and a candidate, and help avoid unnecessary travel expenses, especially if the candidate is abroad. That is why Morgan & Mallet International decided to provide some tips on how to prepare yourself for a successful video interview. Video setting up. An integral part of a video interview is the quality of the sound, video and internet connection. Make sure that your interlocutor will hear and see you well. It is also very important to set up your camera at eye-level so that you are looking directly into the camera in order to make a proper eye contact. Choosing the location make sure that you have selected some quiet place with good lighting and presentable or neutral background. We would not recommend having an interview in a café, park, your car or while walking as you or your interviewer may be distracted by the background noise or your background in general, and finally it may leave a negative impression. Your outfit. Even though you are at home where you are used to wearing casual clothes, it is essential to look smart and presentable for a video interview, so preferably wear a shirt or a suit. You have to take video interviews as seriously as interviews in an office. Make sure that you have your CV in front of you and you are ready to follow it with the interviewer. It may demonstrate that you are an organised person. Those are some basic things that you can do in order to make a good impression on your potential employer. Consider a video interview as a privilege of technological progress that was made to save your time, especially if you are looking for a job in other countries. When candidates are invited for an interview, they try to prepare themselves for it as thoroughly as possible. ​First of all, they try to find useful tips on the Internet like what kind of questions to expect and how to answer properly. But the thing is that a professional recruiter will always have an individual approach to each interview because all the interviews as well as candidates and their experiences are different, each position (especially in a private household sector) is different. In this article we would like to provide some information on how normally Morgan & Mallet International conducts interviews with candidates, what information we pay attention to and how we decide if the interview is successful. Morgan & Mallet International’s main goals are to find a suitable candidate, to save the time of our clients while looking for household staff, and to make the recruitment process carefree for them, that is why our interviews normally last for one hour in order to understand if the candidate will be suitable for a particular position. In the example of a Chauffeur's vacancy, we will try to explain the logic of our interviews and what we expect to hear from a candidate. Our consultants pay special attention to candidate’s skills during the interview. Interviewing chauffeurs, we will check if they are able to estimate the approximate travel time. This skill is important because any busy client would not like to be late for a meeting or to come too early for an appointment and waste time in a car or reception area waiting for the arranged time. Some clients that have just moved to a new city or are just visiting may ask to recommend luxury restaurants or clubs in the central part of the city. That is why our consultants always ask to name several good restaurants and their location in order to see how familiar with the area the candidate is. All our clients have luxury cars or supercars in their fleet. That is why we will definitely ask a chauffeur how they normally take care of luxury cars for example if they will be willing to wash the car by themselves. For some clients such a thing is important in terms of safety, as they do not want anyone to have access to their private car. Recruiting for a family with children, we will check if a candidate is child-friendly, what normally they need to have in a car while driving children and what rules should be followed. Our consultants also check the knowledge of parking rules as a good chauffeur will always plan the route so they are parked on the right side of a pavement and it is convenient for the client to get out of the car. We will also provide imaginary stressful situations in order to check how the candidate will act, and a lot more. After the candidate has passed this part of the interview successfully, we will discuss their experience working for private families or clients. Our consultants will ask the reasons why the candidate left the previous positions and in what environment he/she worked. This part of the interview will help to understand if the candidate will be able to stay in a particular position long. The consultants of Morgan & Mallet International always have an individual approach to each request that we receive from our clients. In case you are looking for household personnel and want to make sure that you will not waste your time reviewing dozens of resumes of unsuitable candidates, please feel free to contact our agency. ​We will be happy to do that job for you. Many successful businessmen and businesswomen have experienced all benefits of hiring such professional time-managers and organizers as Personal Assistant. A qualified personal assistant can be a valuable asset both for your business and for your household. Schedule management is one of the main tasks of a personal assistant. A busy person having a lot of tasks on their table may just forget to write down some arranged meeting in a diary and miss that after all. A personal assistant will always make sure that you remember about an important meeting or appointment and will reschedule it if necessary. Make travel arrangements. A personal assistant will always be willing to organize their client’s trip should it be for business or pleasure. They can do their own research in order to find the best hotel for your business trip in any part of the world or contact special agencies in order to collect information about the best resorts for your vacation. Secretary role. Personal assistants can even cover such basic secretary role as filtering your phone calls, answering emails or dealing with correspondence. Household management is an integral part of your daily life that takes a lot of your precious time you can spend with your family or on yourself. A personal assistant can help you with recruiting the right staff for your property as they definitely know your character, preferences and needs; they can deal with different kinds of payments; they can even contact contractors and suppliers and liaise with them afterwards so you will not need to bother if everything is done. Event planning and gift shopping. You may feel free to ask your personal assistant to organize a corporate party or, if he/she is close to your family, the PA can arrange a birthday party, as normally a qualified and professional personal assistant may have such experience in their background. ​They will know how to book a table in the best restaurant in the city at a short notice or will have the list of bespoke catering companies for your event. They can keep a list of gifts you gave to your friends and relatives for birthday or Christmas last year and can recommend presents in the future or you can choose the present on your own and just ask your PA to order that. A good PA will always try to get a better price for their employer. If you are still trying to find the right Personal Assistant or after reading this article you have decided to hire one for yourself, please feel free to contact Morgan & Mallet International. Our consultants will provide the best specialists and the right personality for you. In case you have all the skills listed above, please feel free to apply through our agency so Morgan & Mallet International can help you meet your future employer. How to Determine the Salary of a Household Employee ? Before starting the recruitment process, our consultants always have a fruitful conversation with the client, as it is important to understand the needs and expectations (and sometimes negotiate some points of the position) or give a piece of advice to the client. One of the most essential factors for initiating the search is to determine the salary for the right candidate. Conducting around a hundred interviews per month with candidates from all over the world, our consultants can recommend the best range of salaries taking into consideration candidates’ expectations, marked rate, certainly client’s budget and much more. Market range is the basis for setting salary for a candidate. It is advisable to keep in mind that apart from “market” there are other factors that can affect the income of the candidate and we are going to speak about them further. Duties. It goes without saying that each position depending on a household has its own specifics in terms of duties. It is a common practice that for example hiring a Butler, clients usually expect them to perform some House manager duties, or hiring a Housekeeper cooking or babysitting is required. In that case, the market salary for an average Butler or a Housekeeper may not be enough. Our candidates are always flexible in terms of duties and willing to utilise all their skills fully but a good and multitasking employee should be rewarded and valued properly. Schedule. We would also recommend taking into consideration the working schedule, as for example a candidate who used to work 9 hours per day will expect a higher salary while working 12 hours per day or 6 days per week. Experience. It is an obvious fact is that the salary of a candidate with 10 years of work experience in private families will be different than the salary of a candidate with 3 years’ experience. If a client is willing to hire a person with many years of experience working for different clients and in different households, our consultants would recommend adding some extra amount to the initial market salary. Skills. Here we are not talking about such skills as problem solving, communication or any other general skills that cannot be checked without long-term cooperation with the candidate. We are rather talking about such skills as knowledge of other languages, cooking, staff management, facility management and even driving. We also have to take into consideration trainings that the candidate has completed, as the investment into professional development and additional knowledge should be rewarded. Location. Finally, an insignificant detail such as location plays its role in determining the salary too. For instance, not all candidates are used to living in isolated areas or ready to leave their country that is why if a client wants a good and professional candidate to stay in a position for a long time or relocate to distant countries they will have to offer a competitive salary. Why should you work with Morgan & Mallet International ? First of all, our main goal is to find the right and loyal candidate for each client. Having around 50 000 candidates registered with us, our consultants always have suitable candidates in mind after a conversation with our clients. And the last but not the least, Morgan & Mallet International always respects our clients’ needs and wishes. If you are still looking for the right recruitment agency then please do not hesitate to contact any of our offices worldwide. Having conducted numerous interviews with Housekeepers, we have noticed that most of our candidates do not fully understand their role in a private household and underestimate their experience and skills. Especially, while discussing duties and responsibilities, most of the Housekeepers take their position for granted. ​Therefore, at the time when it is necessary to reveal as much as possible about the role and to show that they are real professionals in their industry, they become laconic and diffident. ​It is necessary to have a clear picture of your importance in a private household and to be able to convince first of all a recruiter and then your future employer that your services are an integral part of a busy household. In order not to be unfounded, we would like to provide some examples that the work of a Housekeeper can be described with more than just the phrase "general property cleaning". During an interview you can specify what kind of cleaning you can perform, for instance deep cleaning, steam cleaning, carpet cleaning, heavy cleaning, like cleaning windows and furniture, as well as sanitizing of bathroom, kitchen and toilet, cleaning up the bedrooms and the living room, taking out the rubbish, dusting, vacuuming and mopping, cleaning of various surfaces (wooden, marble, glass, etc.). Talking about kitchen cleaning during an interview, it will also be beneficial to mention what exactly you do for example stove top, oven or grill cleaning, cupboard interior and exterior cleaning, weekly fridge cleaning, etc. Housekeepers really specialise in looking after their client so when they come home after work everything is done (like all the cleaning, washing, ironing, folding, making beds, etc). In case your role as a Housekeeper includes cooking, during the interview you can provide examples what dishes you can cook or which cuisine you specialise in. If you know how to take care of a luxury wardrobe, be sure to provide examples what fabrics need hand washing or dry cleaning. Moreover, it will be a great plus if you can name products that you use to remove different stains or which of them help you keep bed linen white and towels soft. Whatever the scope of the role, every Housekeeper should be flexible, competent and self-motivated, and the most important thing is to use your chance and time to convince a recruiter and a client that you have all those qualities. If you are looking for a job as a Housekeeper, or if you are a property owner and looking for a high standard Housekeeper, please feel free to contact Morgan & Mallet International offices worldwide, we will be delighted to assist. Which qualities of a candidate does a recruiter and HR manager take into consideration while recruiting staff ? A 5-minutes conversation is enough for a professional recruiter from Morgan & Mallet International to recognize a conscientious and responsible candidate, and decide whether it makes sense to proceed with their application. A good candidate always appears for an interview and is always on time. If something happens, for example, a candidate is a little bit late, or fell ill, or changed his/her mind (such situations also occur) or he/she has some other reasons and wants to postpone the interview, in such case a good candidate will warn the recruiter in advance. This shows their respect for other people. Flexibility. It is one of the most important qualities that shows if a candidate is really interested in a position. Firstly, a good candidate will always try to adjust to the recruiter's schedule, as they know that recruiters’ time is valuable. Moreover, a flexible candidate will be willing to negotiate working hours, offered salary, duties etc. showing that they are ready to adapt to the requirements of the employer. Availability (a good candidate is always reachable over the phone or e-mail. If they cannot answer immediately, they will call back or write an email later). A good candidate is always ready to provide references from former employers. Even if a candidate does not have written references, he/she will be willing to contact their previous employers or their representatives (family office, personal assistant, house or estate manager, etc) and will ask for written references or will provide their professional contact details. There is nothing impossible for a good candidate. If something is not working out, a good candidate will not look for excuses, they will look for solutions! There are definitely other qualities, which will demonstrate whether a candidate is good, or not. Morgan & Mallet International always collaborates with the best and most professional candidates since we deal with HNW and UHNW clients. Therefore, please feel free to contact us and our experienced recruitment consultants will help you in selecting and searching the best household staff. Your lifestyle begins with Morgan & Mallet International. Over the past century, the role of household personnel has altered drastically. Due to the changing social relationships and lifestyle, the status of domestic staff has acquired new meaning and the duties and responsibilities expected have changed a lot. ​Nowadays, the choice of becoming a domestic worker is no longer a way of life but a career decision. First, the nature of employment is different. Today, in contrast to the past century, the household personnel are officially employed and pay taxes. It is no longer on an informal basis. The proper legal employment contract is signed between two parties where not only all the terms and conditions are stated but also a detailed description of the nature of the job, duties and responsibilities, salary, workload, vacation, etc. These days, it is also very popular that the personnel are self-employed and work for several households at the same time. Moreover, the employment process of domestic staff is similar to the employment of any other workers. The candidates are interviewed regarding their personal characteristics and professional skills. It is a common practice to check their DBS and recommendations from previous employers. Secondly, the traditional roles of the staff have changed. In the past, the staffed households with butlers, housekeepers, cooks, handymen, footmen, and valets were extremely popular. Today, it becomes less and less common to have many staff in the house. Usually, it is the number of responsibilities for one person, which is increasing, and not the number of people responsible. Modern butlers would do much more than just greeting guests and taking care of the wine cellar. Cooking, housekeeping, driver and handyman duties could also be a part of their responsibilities. As a result, over the years some of the professions are becoming obsolete, while, on the other hand, due to the changing lifestyle new positions are appearing. House manager, PA, members of family office, personal shopper or trainer are becoming more popular and the demand for such staff is rising every day. Thirdly, the level of erudition and professionalism of the staff has increased recently. In our days, there are many professional institutions for domestic staff where they can receive special training and diplomas after the completion of the course. Whether it is a nanny, housekeeper, or butler you are looking for, it is no longer difficult to find someone well educated and certified. As the profession of household personnel is becoming more prestigious with years, the number of schools is growing accordingly. Moreover, the level of service has grown significantly. Now, it is very common to employ a luxury restaurant chef as a family cook, or a housekeeper from a 5* hotel for a private house, and a chauffeur may combine the roles of a driver and a bodyguard for the family. Nevertheless, the nature of relationships between household personnel and their employers might have changed; the one thing, which still remains the same, is the popularity of hiring domestic staff. It is essential that the staff are professional and hardworking, flexible and can conduct themselves in highly respectable manner; whose personal and professional skills, work experience and qualifications match the requirements of the employers’ household. Morgan & Mallet International is a professional agency with an extensive experience in the recruiting of household personnel. Our team have developed thorough and rigorous selection process in order to find the right candidate who will meet all the requirements and would match your lifestyle. Whenever there is a need for hiring any domestic staff, we are always happy to assist you in finding the best professional for your household. Why hiring a butler ? Today’s busy life has defined time as the ultimate luxury and it might seem impossible to keep that huge number of different activities of the household under control. Which is why, in order to keep perfect organisation of everyday life it is essential to hire a professional help. If you are looking for somebody who is discreet, organized, elegant and who can take responsibility for every situation in the house – butler is a perfect choice for you. ​Butler has always been an integral part of the household. Butlers are the ones who are trusted with the most intimate issues of the house life and are in the closest relations with their principals. They know all the little details of their principals’ tastes and preferences. However, with years, this profession has evolved and Modern butler appeared. Modern professional butler is much more than just a member of staff who greets guests and serves food and drinks as it used to be in the last century. As the main responsibility and primary role of butlers is to meet the needs of their employers, today’s butlers might be expected to perform not only the role of a traditional butler but also roles of a PA, a House Manager, a Chauffeur, Security Manager or even a Cook. Therefore, employers can choose and tailor the roles and duties they would like the butler to perform in order to meet all the needs of a specific household, which becomes the main benefit of hiring modern butler. By hiring a butler, you can be always sure that everything in your household is running smoothly. Butlers are proud of their “invisible” service and professionalism. They take pride in being of service for their principals as long as their work is respected and appreciated. You do not have to give instructions or tasks to a butler every time – good butler knows ahead what needs to be done. If you are looking for someone who will conduct in a highly respectable and personable manner, who is hardworking and loyal in any matter – butler is the right decision. Moreover, the figure of butler in the household will give it a very traditional and elegant look. It is indeed very high-class when a butler greets the guest and serves the drinks. If you would like to hire a perfect butler who will adapt his or her skills and practices to compliment your lifestyle and the needs of your particular household, Morgan & Mallet International is always very happy to assist you. The butlers registered with our agency are the most experienced professionals. Being partners with the most prestigious in the UK butler school, we are extremely proud of the high-standard service our butlers can provide. Do not hesitate to contact any of our agencies around the globe and our consultants will be pleased to help you ! In a busy household with significant demands, eventually may arise the need for professional help. If you are planning on getting professional staff to handle lots of duties and responsibilities in your not very large property but you do not want to overcrowd it with too many people – domestic couple would be a perfect fit for you. Why is it beneficial to hire a Domestic Couple ? Firstly, you will get two equal professionals with extensive experience of working together in the hospitality industry who can bring harmony to your household and get all things in order. The couple are usually married so you as an employer should not worry whether they would build a good team, as they have already been a team before and enjoy working together. Most of the time, couples are very experienced in a wide range of household work. The skills and knowledge may vary from couple to couple, and they are very flexible regarding their duties. The responsibilities might be shared in many different ways. The usual combinations are as follows: housekeeper/cook - houseman/chauffeur/gardener; chef/house manager – housekeeper/nanny; butler – cook/nanny and many more. However, a good couple is always willing to learn and adapt to their principals’ needs and requirements. One of the main advantages of a couple is while being effective team players they can share and take new responsibilities according to the needs of the household. Secondly, you can get all things done with the help of only two people who, on the other hand, act as one. Certainly, if we are not speaking about a large estate. Couple most of the time share the accommodation and request lower salary rather than two individual members of staff for the same responsibilities. As long as the couple have days off and holidays together, they are very likely to stay and work for one family on a long-term basis, which makes them very loyal and sought-after employees. ​Moreover, domestic couples are more likely to be willing to work on public holidays or unsociable hours, as their family and most of the social life are inside of their work life. They are more flexible to travel with the principals to different residencies and even worldwide. Furthermore, hiring a domestic couple will allow you to travel easily at short notice, as you can be sure that the couple who already became a vital part of your family will take care of everything in the house while you are absent. Besides, a couple may take care of pets as well. Domestic Couple is absolutely the best choice for your part-time residence. If you have a holiday residence somewhere in the countryside, or a beach house, which is used for several months a year, or holidays only – domestic couple would be perfect to help you with its maintenance. You can be certain that it is secure and fully cleaned up at times when you are not there, and you will get full time high standard service during your visit. If you consider hiring a domestic couple for your household – we are here to assist you. ​We have many versatile couples registered with our agency with at least 3 years’ experience, positive references and they would love to find a perfect household and family to work for. Contact any of our agencies worldwide to find your perfect couple. Private Chauffeur – is all what you need. When you cannot afford yourself be late for a meeting because taxi is late, when you are tired of driving around the city in taxi taking care of your personal errands or when little talks with a stranger make you uncomfortable while all you really want is a comfortable and safe drive with a person you can trust – private chauffeur is all you need. Hiring a personal driver is not only comfort and safety – it is a considerable time saver as well. You will never be worried again about being late for an important meeting, a flight or any other occasion you cannot miss. You will never have to wait for a car to arrive or catch it outside the street because now you can organise your itinerary for a day beforehand or your chauffeur could wait for you in the car while you are doing your business. Your private chauffeur is always there for you and only for you. No more unpleasant trips in a taxi, no more worries about chauffeur competence – now you can choose the best driver yourself. Excellent knowledge of the city, safe and well-timed drive, nice car and presentable appearance – these all are related to the image of private chauffeur. 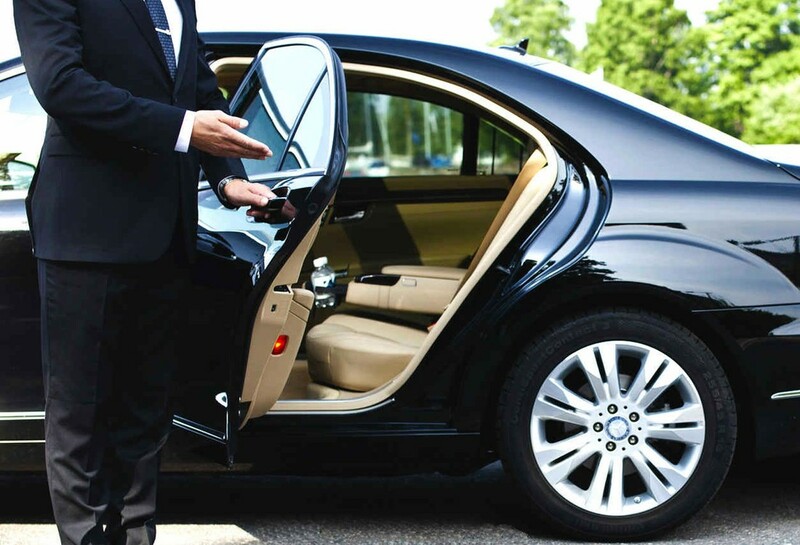 Moreover, what really makes private chauffeur an extremely significant part of your life is the fact that he or she can not only pick you up and drop you off, chauffeurs are nowadays personal assistants to their principals who in their turn benefit from it immensely. Your time spent for transportation will never be in vain again as you can use it for giving some instructions related to your personal or business life – pick up clothes from dry cleaning, pay your bills, deliver documents, collect relatives from the airport and many many more. All that can be done for you. Your chauffeur will assure that you do not forget about any of your plans, any of your important meetings and things to do. However, have you ever wondered how to find a reliable and discreet chauffeur who you can trust with your personal errands, your belongings and your life, of course? Morgan & Mallet International team is here to help you out. All the candidates who are registered with us have at least 3 years’ experience working for an individual or a family, clean driving license and very often are specially trained as personal chauffeurs or bodyguards. Having worked for private families, our chauffeurs are familiar with the specification of this job – the flexibility, trust and total discretion are of the primary importance. Our candidates have experience driving luxury cars, certain skill set necessary to maintain the car, take care of paper work related to it and always provide 5-star service and comfortable smooth driving to their principals. Your new way of peaceful and relaxed drive is waiting for you. Contact Morgan & Mallet International in any part of the world and we will assure you receive the best service from your household personnel. ​When recruiting Domestic Staff (Butler, Maître d’Hôtel, Waiter / Waitress) one of the important things to understand is the type of table service required by our client. Depending on the event or meal being served, the type of table service will vary. ​In this article, we are going to provide more information about the most popular service methods such as Silver or English service, French or Butler service, Russian service, American service and Buffet service. Nowadays the most commonly used is American service. The specifics of this style is that food is prepared and decorated in the kitchen and served to guests, sometimes under plate covers which are removed in front of the guests. Dishes are always served from the right side of the guest. This method allows serving a lot of guests in a short time. Silver or English service includes serving food at the table. A Butler or a waiter/waitress individually serves each guest from a large platter, starting with the host or the guest of honour, holding the platter in the left hand serving from the left side of the guest, using a fork and a spoon. This technique requires much practice. French or Butler service has two ways of presenting dishes. Food is completed in front of the guests and served by waiters who either offer the dish to each guest who helps himself or herself, or simply put platters on the table so the guests can help themselves. This type of service requires highly skilled staff and dishes are always served from the left side of the guest. Unlike the French style, where the food is brought out at once in an impressive display, Russian table service involves courses being brought to the table sequentially. Moreover, the dishes are prepared and garnished in the kitchen, presented to guests and carved and portioned by the waiter. Buffet Service is a self-service where food is displayed on tables in a serving space. Guests commute there to be served by the Butler (waiter/waitress) behind the buffet table or sometimes to serve themselves, and then carry their plate back to the table. Buffets vary from very informal to rather formal setting of a wedding or diplomatic receptions. Whatever type of table service you choose, we will ensure that you have the right staff to serve you. ​Please feel free to contact our offices and our consultants will be happy to provide our bespoke service ! Becoming a private chef – what to expect. Choosing a career of a private chef can be very rewarding and exciting at first sight. However, if you are thinking about changing your career from a restaurant chef to a chef in a private household, there are a few important things which you should consider before making the first step. Certainly, the career of private chef has many advantages but you should not forget about pitfalls, which may be ahead. Firstly, being a private chef requires from you a higher level of responsibility. As you are the only person who is in charge of everything what is happening in the kitchen, you do not have much space for mistakes. Nevertheless, gratitude and appreciation is the direct result of your own achievements. Therefore, if you are seeking for a personal interaction with your customers and direct appreciation for the work you do – private chef job is definitely the one for you. As a private chef, you have an opportunity to build personal relations with the customer. You cook for a specific person, with specific preferences and, as a result, your work is 100% personalised. In contrast, restaurants chefs rarely know the people they cook for, not to speak about their diets and tastes. Secondly, the flexibility should be your top-one quality. Working holidays, extra hours, weekends, availability at short notice, travelling with the family whenever requested – this all is quite typical and common for a private chef, and the list is not exhaustive. However, working as a private chef gives you an opportunity to become an essential part of somebody’s life, and it is usually someone you would not typically meet and interact with while working in a restaurant. You have a chance to experience different lifestyles and get to know how HNW people (e.g. celebrities, wealthy business figures, members of royal families, etc.) live their everyday life. You can also choose the freelance position and on-call work for dinner parties or special occasions because the networking in this sphere is extremely fast developing. ​Once you have been offered a position for one occasion and completed it with success, it will open you the door in business of private catering and the net of your clients would grow very quickly. The demand for good freelance chefs is enormous. Another important thing to consider is that this job would definitely not be suitable for people who lack self-organisational skills or may get tired of creating something new every time. While in a restaurant there is usually some specialties of the restaurant, stable menu and fixed working hours, private Chef’s work is certainly more autonomous and creative. Usually, private chefs have more freedom to choose what to cook. Indeed, people who hire private chefs set some food rules regarding diet restrictions and some general preferences, but the rest is left to the chef’s imagination. ​Moreover, as a private chef you are the one who organises your time, cooking style, and anything else which is typically strictly ruled in the restaurant. There is unlimited room for your creativity and it gives you the ability to expand it while creating new recipes. As in the restaurants chefs are usually in charge of cooking one specific course (appetizer, main, second course or dessert), being a private chef will let you grow professionally in every area. Finally yet importantly, however beneficial and tempting this profession may sound you should not forget that it is more challenging in its turn. Very often, it is quite unstable and unpredictable. Sometimes, the search for a right position and right employer may take up to several years but once you found the perfect family, you would never regret your decision. Furthermore, it is commonly known that chefs in private sector are likely to have higher salaries than restaurant chefs and sometimes the difference can be tremendous. As a self-employed chef, you are relieved from many different payments, which a restaurant is obliged to pay and deduct it from your salary. If you, despite all of the challenges and difficulties, has found yourself in the profession of private chef and at the moment you are looking for your next great employer – we are here for you! Submit your application form and our consultants will get in touch with you as soon as we have something suitable for you. How can you benefit from working for HNW or UHNW families ? More and more frequently, we receive CVs from candidates who have their own business but still want to work as Household Staff. Therefore, the question is what attracts people who own successful businesses and can hire their own staff to work for private families ? There may be several hypotheses. The easiest and the very first option that comes to mind is that candidates simply try to increase their income. However, you will agree it is quite a superficial explanation. It is hard to argue that working for a HNW or UHNW family can bring numerous useful contacts, and sometimes you can glean some successful business ideas from people with whom you are communicating. For instance, working as a House Manager or a Butler requires not only skilled management of personnel, but also establishing business connections in various fields, such as construction, design, real estate, delivery, catering, etc. You have to choose the best of the best to ensure that your employer is satisfied with the personnel or services you have selected. Quite often proving yourself as a good House Manager in one property you may be offered to supervise several estates worldwide, as well as a private jet and a yacht so the scope of your responsibilities and the opportunities for networking and acquiring new skills would expand. The field of security, namely close protection or body guarding may serve as another interesting example. A large percentage of bodyguards have their own small Close Protection Agencies and people under their leadership. ​They conduct various trainings and courses, yet they do not leave their job as a CPO. To any security officer it is exceptionally important not to lose their skills and ability to apply their knowledge in practice. Moreover, working for HNW or UHNW people canconsiderably expand their circle of VIP clients. One should not forget about a great advantage of combining your business with work for a private family, which can ensure permanent employment. It is almost impossible to predict your business revenue, especially during the first few years, but working for a VIP family can guarantee a steady income and employment. Finally, one of the greatest perks of working for a HNW or UHNW family is an opportunity to travel. Quite often, such families have properties in different countries and they have to move from time to time. Accordingly, they usually prefer their staff to move with them. Long-term residence in other countries will allow you to get acquainted with another culture, mentality and traditions or to learn a new language. Therefore, do not be afraid to combine business with pleasure and open new horizons ! Dear candidates and visitors to our website, we are really pleased and excited to introduce you a new service from our agency. From now on you have a wonderful opportunity to improve your profile and introduce yourself to the potential employer with the help of a video presentation. The results are very impressive as the visual form of CV presentation allows clients to see the personality and approach of candidates - two things proven to be vital for a successful match. The video will show you talking to the camera about yourself and your experience so that clients can see if they will have a good rapport with you. The video presentation can be used alongside CVs to show clients who you are and how you work. Moreover, it is engaging, memorable and will definitely attract clients’ attention to your candidacy. The video presentation will improve your chances to get your dream job immensely and will be a great way to stand out from the crowd. A lot of people are afraid of public speaking and being filmed but we offer fun and enjoyable way of filming. You will be supported all the way during the process by a representative of the filming crew who will offer valuable advice on the speech and make you feel comfortable and confident in front of the camera. For the parents who are hiring a professional help for their children for the first time there is often a confusion between such professions as a nanny and a governess. So, who is the governess and is it the right time to hire one for your child ? You may find the answers in this article. Professional governess will be responsible not only for taking care of your children, teaching foreign languages (English, French, Spanish, German, Italian, or Russian) or for playing a musical instrument but also teaching rules and standards of etiquette in public and at the table, good communication manners and sense of responsibility. ​Governess is also responsible for social, cultural and psychological development of a child. If parents want their children to grow up intelligent and well-mannered members of society but are unable to be around them and teach everything themselves - hiring a governess is the most reasonable decision. Governess can live with the family or come on a daily basis and is usually employed for school-aged children. However, it is a common practice to hire one for very young children as well, if parents want them to be bi- or trilingual from an early age. It is a well-known fact that if children grow in the environment of a foreign language they are more likely to be bilingual or trilingual. 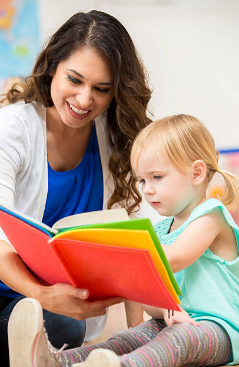 Which is why it is a huge advantage of hiring a governess – you do not have to risk and send your little ones to a foreign country to learn the language. If you are looking for a highly professional governess or nanny in any part of the world or if you are a governess / nanny who is looking for a nice family to work for – Morgan & Mallet International is here for you. Do not hesitate to contact any of our agencies worldwide and our consultants will assist you with any of your enquiries ! Housekeeper / Nanny / Cook. Myth or reality ? Living a modern life sometimes can be tough, especially when you have your own family. Every day you need time to make breakfast, lunch and dinner, you need even more time to clean your house, do laundry, ironing, and shopping. The question is – where do I get the time to go to work and do my own business? And, yes, what about the children – who is going to take care of them and spend leisure time with them? It is true that household routine may take way too much time from you and become an obstacle in the way of being one of those happy families where the house is clean, everyone eats well, and children are happy and well-behaved? ​With no doubt, we all know about professional help such as domestic staff. However, very often hiring a nanny, a housekeeper and a chef is too much for one family. Moreover, if the house is not very big, permanent housekeeper would be too expensive and absolutely not necessary. Nevertheless, there is an answer for such cases and the answer is – Housekeeper / Nanny / Cook in one person. Sounds like some kind of fantasy, right? But this is a real thing! Moreover, it is incredibly popular among modern families. The question is - who are those super helpers? What can you expect from them and what you should not ? Housekeeper / Nanny / Cook is a professional domestic helper who can do cleaning, cooking and childcare and all that on the highest possible standard. It is mistakenly to think that if a person can do everything he/she does it badly. Absolutely not true. Very often Housekeeper / Nanny / Cook is a trained and very experienced professional with certifications in the mentioned fields. Certainly, he/she might be stronger in any of the areas but it is only the matter of your choice. It is up to you to decide whether you would like a professional nanny with good skills in cooking and cleaning, or a 5-star housekeeper who can cook delicious meals and take care of children, or a trained and qualified cook with skills necessary to clean the house and look after children. However, in order to receive the desired level of service certain factors should be taken into account. First of all, hiring a person who can do all the household chores is a choice for small to medium size properties. The number of children in the family is also an important fact to consider before hiring Housekeeper / Nanny / Cook. Therefore, you should not expect one person to clean a 6-bedroom house, cook 3 times a day for 8 people and take care of 3 babies. Which means it is important to evaluate your needs carefully and realistically before hiring a Housekeeper / Nanny / Cook for your family. If you think you are the family for which the Housekeeper / Nanny / Cook would be a perfect choice – contact Morgan & Mallet International and we will be happy to help you with the search for the most suitable candidate for your needs. Even if you are not sure whether it is the right option for you – contact us anyway! Our professional consultants will help you in evaluating your needs and advising with the best solutions for your case. Contact any of our offices worldwide and we will assist you and provide you with best possible service. When your life is missing organisation and order, you keep forgetting important things, your workload is ever increasing and the organiser in your phone is no longer being helpful – it is high time to hire a personal assistant (PA). Who is PA and why he or she can be a real magic wand for you ? Here is the answer. Once you have hired yourself a personal assistant, who is dedicated, assertive and skilled, you would be surprised how much time you could save. As a PA can perform a wide range of tasks and duties personally for you or for your family, hiring one will help you keep an ideal balance and harmony between your work and your household life. ​You can focus more on your family, your business or yourself as someone has already paid your bills, taken your clothes to the dry cleaners, made a reservation to your favourite restaurant and done grocery shopping, and this is just the top of the list. Sometimes, there is a confusion between such professions as personal assistant and personal secretary. The difference is very slight, but it still exists, and before hiring a personal assistant, you should make yourself sure who you are looking for. ​A private secretary usually works solely for one family and mainly is accountable for diary and correspondence management, arranging meetings and appointments, and some reception duties. As well as a PA, secretary should be very initiative, proactive and with a strong sense of responsibility regarding personal errands of the employer. Both of them keep close contact with their employers at all times in order to keep the private and professional affairs in order and well organised. Whether you are looking for a PA or you are considering becoming one, it is essential to know what qualities and skills are the most important for such profession. First, personal assistant is someone with exceptional organisational skills, as he or she should organise their own duties additionally to the life of the employer. Good PA is an enthusiastic and confident individual, computer literate, tech-savvy, and experienced in management. Secondly, flexibility is an absolute must for a personal assistant. Moreover, flexibility concerns both the working hours and the nature of tasks to do. Quite frequently, PAs do not have a fixed schedule and can be asked to perform some tasks, which are not very typical and ordinary. Other important traits are definitely discretion and confidentiality. Professional PA who is trusted with the most intimate issues of their employers’ life will always keep everything in privacy, as the trust between PA and the employer is fundamental. Finally yet importantly, perfect PA is someone who has matching personalities with their employer. Someone who could foresee the needs and desires of the employer and act on behalf of them at all times. If you are looking for a personal assistant – do not hesitate to contact us and we will help you with your search. With the first breath of fresh summer air, it is high time to think about the holiday plans and preparing yourself for staying in the summer residence. Having worked so hard during the whole year, we deserved to treat ourselves a bit with perfect carefree holidays. As you are looking forward to your flawless holidays, do not forget about looking for flawless domestic staff first, who will help you make it so. Whether you are looking for a high-standard housekeeper with extensive knowledge in care for luxury clothes and delicate fabrics, or a Michelin star chef who can astonish you with unbelievably delicious meals, or a chauffeur who perfectly knows all the roads of Côte d'Azur, Tuscany, or any other high-end holiday destination – Morgan & Mallet International team is more than happy to help you with that. As one of the most advanced Household and Domestic Staff recruitment agencies, we specialise in luxury recruitment and the candidates registered with us are the most qualified professionals with extensive experience working for HNW and UHNW individuals. Do not worry if cannot take your staff with you because the candidates we place have gone through very thorough background check and proved to be trustworthy and discreet. All our candidates have at least 3 years’ experience working for private families with checkable references. Do not hesitate to contact us and we will find you the most suitable candidate per your request. Whether it is a housekeeper, nanny, chef, house manager, butler, governess or any other domestic worker. We cover all household personnel all around the world.